Christian and Randy Orton gave us one of the best in-ring WWE feuds of 2011. The quality of their matches was almost unsurpassed; they bettered themselves in every match. Any of their three PPV matches (and the 3/5/2011 Smackdown match which kicked off the feud) could be in the Best 100 list. Each match had it all: perfect counter-wrestling, move sequences, and thrilling high-risk moves. We all know Orton is a great and polished all-rounder; but Christian’s brilliance in the ring is often forgotten. He proved that he belonged in the main event picture in his feud with Orton. However, that wasn’t proof enough for the higher-ups. Christian quickly fell back into the mid-card after the Summerslam match. The No Holds Barred match was the best match on the card. Of course, most of the hype centred around John Cena vs CM Punk for the WWE Championship. But this easily surpassed the sloppy and awkward match between Cena and Punk. Both Christian and Orton were at the top of their game; Christian was out to prove he belonged in the main event, and Orton was/is a smooth and flawless wrestler. Flowing counters, high risk moves (a superplex onto an unfolded table, for example)and some brutal uses of external objects gave us an engrossing bout. Christian took the brunt of the punishment (a scoop slam through a table, an RKO through the Spanish announce table, etc), and the dangerous finish looks extremely painful. No doubt, this is a brilliant match; a No Holds Barred match that doesn’t descend into mindless violence. However, I personally prefer their previous match at Money in the Bank 2011. Both wrestlers are good enough not to let the temptation of over-using weapons overwhelm them, but there are a few moments of excess. The obligatory kendo stick segment feels unnecessary. Their match at Money in the Bank doesn’t need any gimmicks; it speaks for itself. 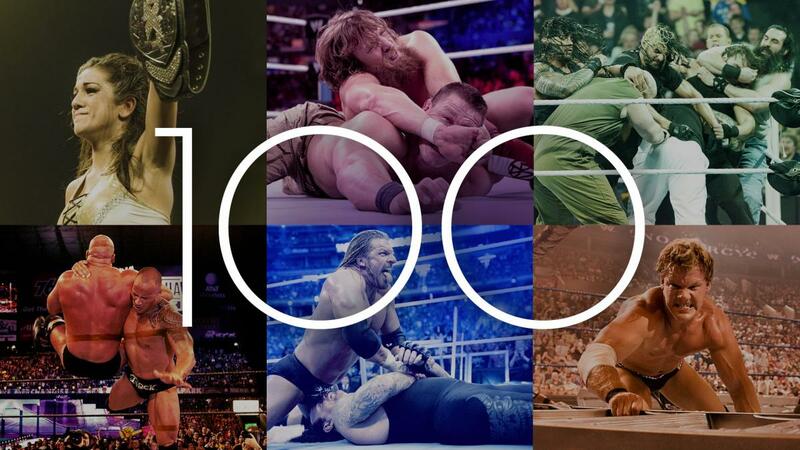 However, like I said before, any of their 2011 PPV matches could take this place in the Best 100 list! VERDICT: 9/10. Smooth, refined, no holds barred action! The best from two of the best all-rounders in the WWE. Does this match belong in the WWE Network’s Best 100 Matches To See Before You Die? Leave your comments below! Previous Article Thoughts on Directors: Wes Craven and Sigmund Freud-A Marriage Made On Elm Street?